This gorgeous painting is a study in light, colour and texture. 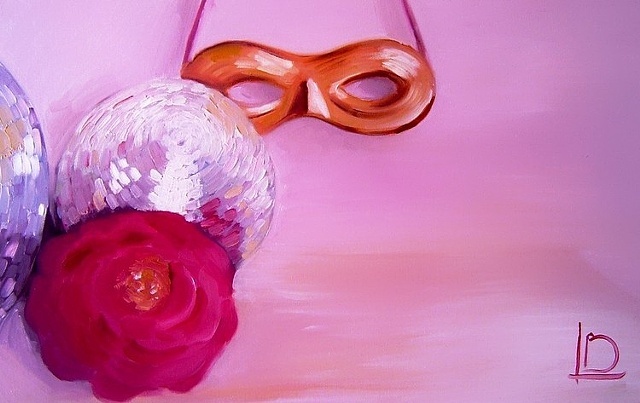 The simple composition is built from disco balls, a pink rose corsage, and a gold masquerade mask. Lilacs and lavender shades dominate the painting, whilst touches of magenta white and gold complete the look.